we are Branding trading company devoted to guitars, basses, stands, gig bag & case, which are all in high quality and original designing language. 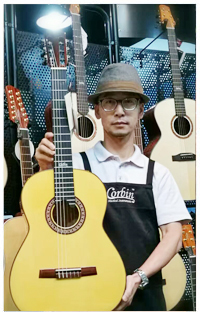 You could get the general idea of our products from our catalogs or our website.we draw from over 21 years guitar making and production experience.The Massive series builds on tradition and value. We offer the players many choices to express their musical soul. Cut-away, Dreadnoughts, 12 String models, acoustic bass guitars , Stage Jumbo models and multi sized classical guitars are only some of the models found in these series.We produce high quality handmade guitars by combining both tradition and technology; essentially a refined hand-building process where the traditions of theLuthiers art are supported by a modern production facility.We strive for excellence in our products, and we achieve this level of quality by controlling the entire process; from the drawing board to the finished guitar. With higher reputation, our products have been exporting to many countries and places, such like U.S.A, Germany, UK, France,Canada and so on.We also have representative office in Germany and U.S.A. We're always willing to enter into business relations on the basis of equality, mutual benefit and exchanging what one has for what one needs. We are confident to give our customers the fullest satisfaction, we are here to assist you with your ideas and projects.